A NEW book has been released documenting Qatar’s “forgotten” invasion of Bahrain. GDN article. Wed, 04 Apr 2018 by Sandeep Singh Grewal Fasht Dibal was under Bahrain’s control when Qatari troops descended on the island, taking 30 construction workers hostage in 1986. It is located northeast of Bahrain’s mainland, but was awarded to Qatar in 2001 as part of an agreement that saw the Hawar Islands handed over by Doha in return. 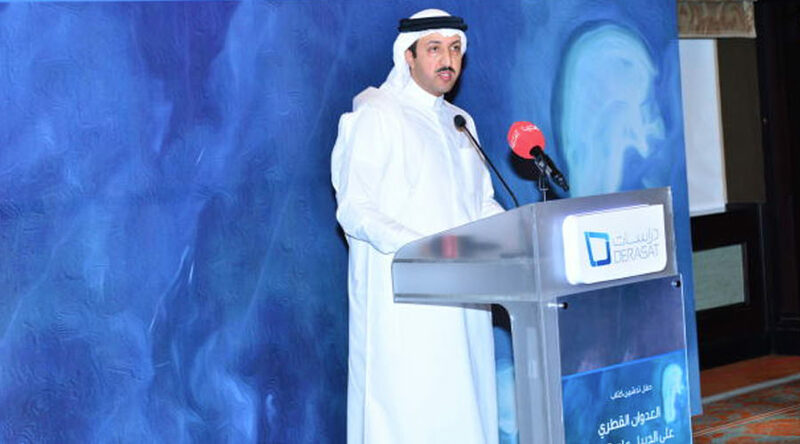 However, the incident has been highlighted as an example of Qatar’s hostile policy towards Bahrain over the past three decades in a book launched yesterday by the Bahrain Centre for Strategic, International and Energy Studies (Derasat). Titled Qatar’s Aggression In Fasht Dibal In 1986, the book includes photographs and documents from Bahraini and British archives. Please follow link to read full GDN article.